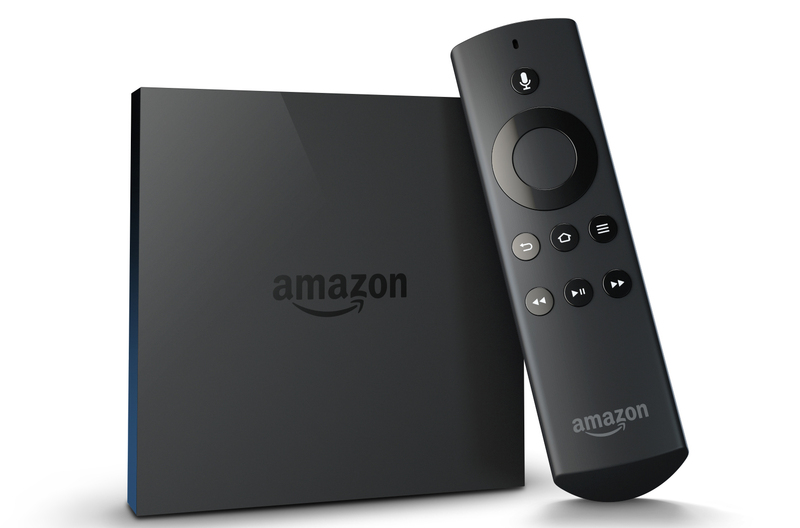 Last week, Amazon unleashed its new video-streaming device the Amazon Fire TV (or fireTV, as the label reads), which the company says would be faster and easier to use than competing devices like the Google Chromecast Apple TV and the Roku products. We recently purchased one to see if it lives up to those promises (and because the Consumerist Bat Cave can never get enough streaming video). Keep in mind this is not any sort of official scoring, rating, or endorsement of the Fire TV. These are my personal impressions of the device based on only a day’s worth of trying it out. It says it on the Amazon.com page for the Fire TV that the device does not come with an HDMI cord, which is the only way to connect it to your TV. That page is not lying; there is no HDMI cable in the box. So if you don’t have an extra one lying around your home, you’ll need to buy one, which can add a few bucks to the cost of your Fire TV. Luckily, the Consumerist cave is rotten with extra HDMI cables of varying length and color, so I was able to just get right to hooking it up. That is, until I was told there was an update needed. Between all the downloading and installing, it was somewhere between 5-10 minutes before the Fire TV restarted. That’s when the helpful, but pretty unnecessary, cartoon introduction video kicked in. For someone who has never used a device like this, it is probably pretty helpful. But to someone who has been around a few streaming devices in his time (and who just got off a flight that had been delayed five times), the ability to skip it would have been nice. Then the problems started. Even though I’d had no trouble connecting it to the WiFi network at startup and the wireless router is mere feet from the Fire TV, the screen showed only the faintest WiFi signal coming through and it was unable to maintain an Internet connection. After 20 minutes of restarting routers, modems, devices, I determined it was the WiFi range extender in the Consumerist cave that was the problem. Once that was unplugged, the FireTV finally worked. This problem may be unique to my home network (though I’ve never experienced anything like it before), but I figured I would share just in case anyone else was having a similar problem. Once I finally had things rolling, I expected to then have to go through the process of logging into my Amazon account and linking it to the Fire TV, but this was apparently already done before shipping. I believe Amazon does the same thing with Kindles, so there’s precedence, but personally I’d rather not have Amazon shipping out a device that would give access to my account to anyone who hooks it up to a TV. The remote is small and provides the basic ability of letting the user navigate the onscreen menu, and then your standard play/pause, fast-forward, rewind buttons. There is also a voice search button that I’ll get to in a bit. One feature that would have been nice, but was understandably left off, was volume control. Having to keep two remotes at the ready makes me a tad sad. One of the things that Amazon pushed hard at the launch event last week was that the Fire TV is faster than the competition. In terms of accessing Amazon content, it appears to have shaved a second or two from the loading/buffering times I’ve usually experienced on tablets and on the Amazon app on the Xbox 360. Amazon’s predictive “Recommended” titles feature goes a small step further and queues up the start of these videos so that the wait time is no different than on a video from a disc. One potentially annoying problem I noticed was that if you went to a video that you’d previously started, you are only given the “resume” option. So if you fell asleep watching a movie, or your significant other started watching something on your account but stopped without watching the entire thing, it looks like you’ll have to rewind to the point where you nodded off or fast-forward to the end. Speaking of which, in spite of the improved speed, the video scrubbing interface still leaves much to be desired. When rewinding or fast-forwarding, the main image on the screen remains the same but you can try to keep track of where you are in the video via a much smaller inset screen that updates as you navigate. The only non-Amazon video app I have been able to give any chance is Netflix (the Showtime app is currently only available to subscribers of a small number of cable companies, and my cable provider is not on the list for the WatchESPN app). The first time I loaded Netflix (after downloading the app, which took less than a minute), the startup time was similar to what I see on Chromecast or on the Netflix apps on gaming consoles. Load times for individual titles were slightly better, but I could just be having a good Internet day now that Comcast is getting paid by Netflix for better access to its customers. The real improvement I spotted with regard to Netflix is being able to switch out of it and back with minimal lag. You can’t go straight from the Fire TV’s main screen to a specific Netflix movie, but when you click on the Netflix button, it’s not like starting up the app all over again. Unlike some devices and apps that give you access to Amazon’s video selections, the Fire TV also lets you buy and rent the videos. That’s nice, but one thing I did notice was that the buy/rent menu defaults to only listing the HD purchasing options on the main screen. To get access to the slightly less expensive SD versions, you need to click through to another menu. In short, it does work. I tried varying levels of complexity and could not stump the Fire TV (maybe I’m just not creative enough). The microphone on the remote works from as far out as a couple feet if you speak clearly enough. All that said, I still felt like a horse’s derriere talking at my TV or into my remote. I did also purchase the $40 gaming controller (which looks like some generics manufacturer knocked off an Xbox One controller), but I haven’t had time yet to do more than set it up. So the Fire TV’s value as a cheap way to get games on my TV is still to be considered. While the Fire TV does live up to some promises about speed and improved search, its initial statement about the Fire TV being an open ecosystem with a wide variety of services available is the big sticking point. That will likely change in the very near future as access to new apps and services opens up, but anyone who already owns some sort of HD streaming device may wonder whether the $99 was a wise purchase just for some notable, but not Earth-shattering, improvements. Others who don’t have a competing device may want to consider the Fire TV, but should do so knowing that they might not immediately have access to all the services they would get elsewhere.